Jim Gordon – Beers & Gordon, P.A. Need to know what to do after an accident? Jim Gordon from Beers & Gordon, P.A. Civil Trial Attorneys gives us the education. This week Jim Gordon with Beers & Gordon, P.A. Civil Trial Attorneys spoke with us about What to do After an Accident”. Although their firm does not do many slip and fall cases, he gives a bit of advice on what to do when that happens. If you are to slip and fall in a store or restaurant, you need to take pictures. If you are injured you will need to have the evidence behind your slip and fall. You should also obtain an incident report from the store or restaurant the incident occurred. Like a slip and fall accident you want to gather the same amount of evidence, if not more, in an auto accident. Before anything else, get the witnesses information; officers often forget to write down the witness information which can be extremely important in a case. Next, take pictures at the accident scene, take as many as you can. For example, some vehicles get taken away and you will want those pictures of all vehicles and even skid marks on the road. Jim also mentions the importance of the damage underneath the car. Jim has employees who will go out to the accident scene and 3D scan the car and then determine what happened in the accident electronically. You want to preserve as much evidence as you can, and the worse the accident the sooner you will want an attorney on scene. Jim gives us great examples of past cases and the importance behind them and how you can benefit from what he has learned and worked through. He emphasizes again to document everything. If you need assistance in your auto accident, give Beers and Gordon, P.A. a visit today! Brian Tadros – The Workers’ Compensation Trial Group, P.A. 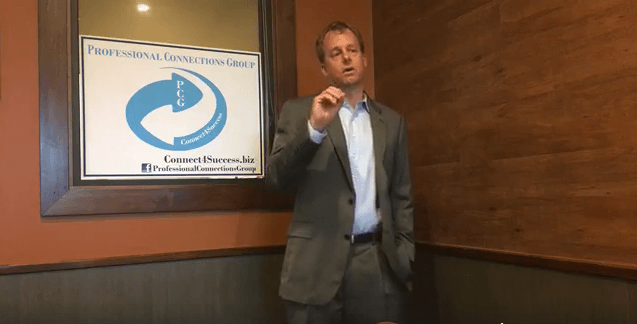 Professional Connections Group is Central Florida's top networking and connections group.